International politics often requires two or more languages. The resulting interlingual relations mean translation, either by interpreters who are quite literally in the middle of conversations, or by bilingual statesmen who negotiate internationally in one language and then legitimize domestically in another. Since no two languages are the same, what can be argued in one language may be impossible in another. Political concepts can thus be significantly reformulated in the translation process. 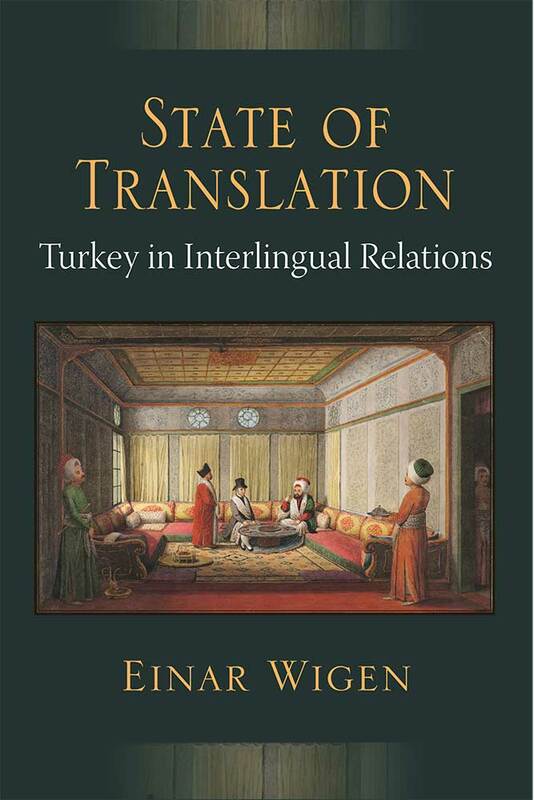 State of Translation examines this phenomenon using the case of how 19th-century Ottoman and later Turkish statesmen struggled to reconcile their arguments in external languages (French, then English) with those in their internal language (Ottoman, later Turkish), and in the process further entangled them. Einar Wigen shows how this process structured social relations between the Ottoman state and its interlocutors, both domestically and internationally, and shaped the dynamics of Turkish relations with Europe. Einar Wigen is Associate Professor of Turkish studies in the Department of Culture Studies and Oriental Languages at the University of Oslo.